The last few months I've been sorting through tons of recipes I've cut from magazines or written down over the years. This has been a huge project and I'm still not finished! Can we recipe hoarder?? This is one of those recipes I came across when organizing. I remember either my Mom or older sister making this recipe when I was younger and I loved it. I had to make it and see if it's as good as I remembered it! It did turn out as good as I remembered!! This salad makes a huge batch and would be great for a potluck or BBQ! I also love that there's no mayo, making it a little healthier for you! Cook pasta according to package directions. Do not overcook. Rinse with cold water, drain. Whisk ranch dressing mix, oil, garlic salt and black pepper in a small bowl. In a large bowl, combine cold pasta, tomatoes, onions, bell pepper and cheese. Pour dressing mixture over pasta and veggies. Toss to coat. Serve immediately or refrigerate until serving. Before we moved, I had tons and tons and tons of recipes. I made myself sort through them and purge some of the stuff I knew I would never make or things that were so similar. It's almost like separating yourself from a child or something! I hated doing it and probably justified half of what I kept in one way or another! LOL. 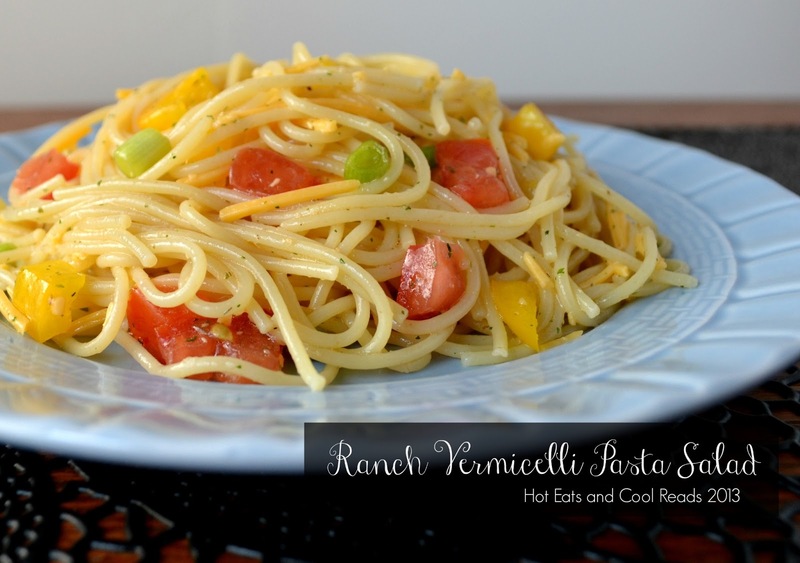 Your pasta salad sounds delish and I too like the fact that there's no mayo :) Pinned it! 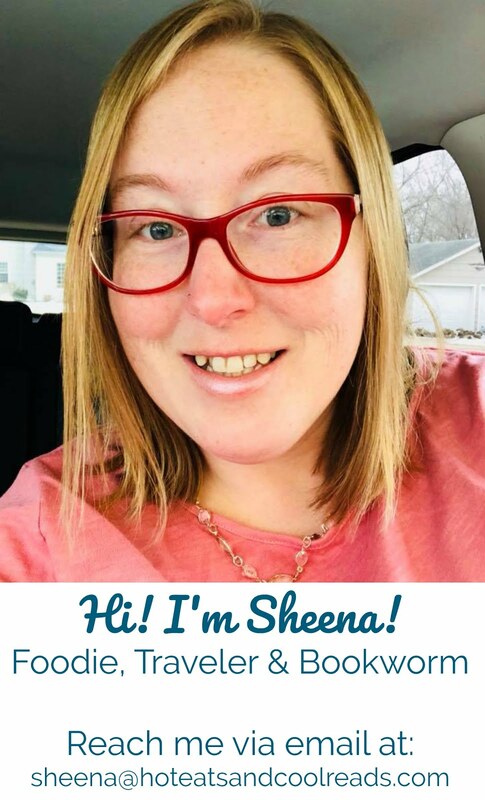 Thanks for linking up to All My Bloggy Friends, Sheena - I can't wait to see what you share this week! im a new cook and by new i mean only a few meals under my belt i want to make this but way to much for 4-5 people can you tell me how to cut this in half and send it to me in an email please? Any pasta recipe is a winner in my recipe book. My mom had a large 'magazine' recipe collection that my sisters and I are sorting through. I will be adding this recipe to my must make list. Thanks so much for sharing this with Foodie Friends Friday this week. This looks tasty Sheena! Pasta salads one of my summer time favorites! Thanks, Serena!! I love pasta salads too! I so feel your pain Sheena, I purged magazines that I had been keeping for years when I moved. I even tried giving them away on Craigslist hoping someone would love them with no luck. I so hated they went to a landfill. I did keep all of the holiday issues. That's such a bummer! I bet there's tons of great recipes in the holiday issues! 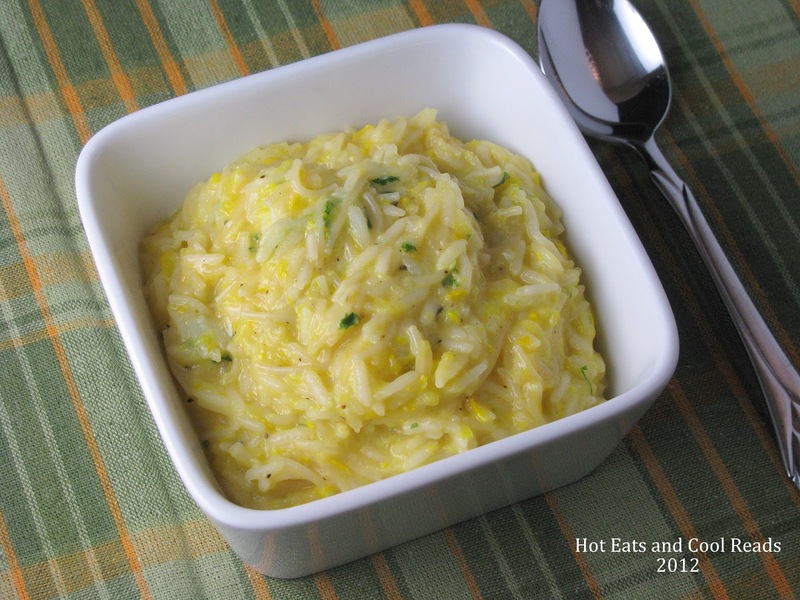 Can you use another pasta besides the Vermicelli and will the cheddar cheese get soggy in this recipe? Thank you! I have read many books that you have suggested. This would be great with any pasta! I've never had the cheese get soggy when it's eaten within 1-2 days. Thanks for stopping by! So sorry for the late reply! That measurement is correct!